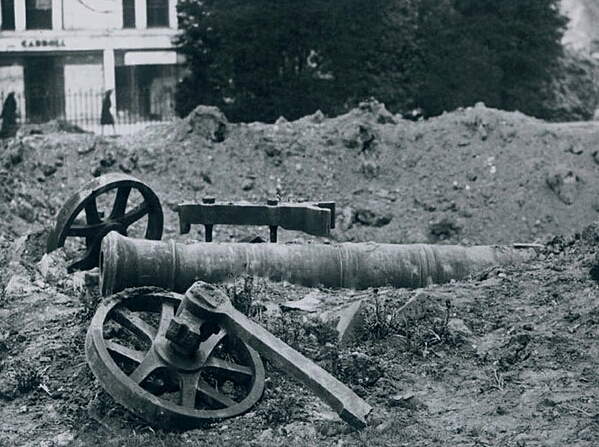 There used to be a captured Crimean War cannon at Greyfriars Green. 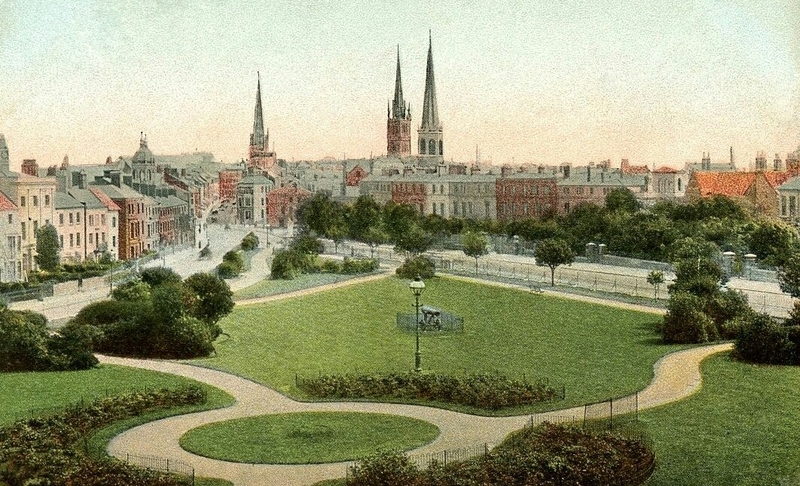 It was destroyed in a WW2 bombing raid. 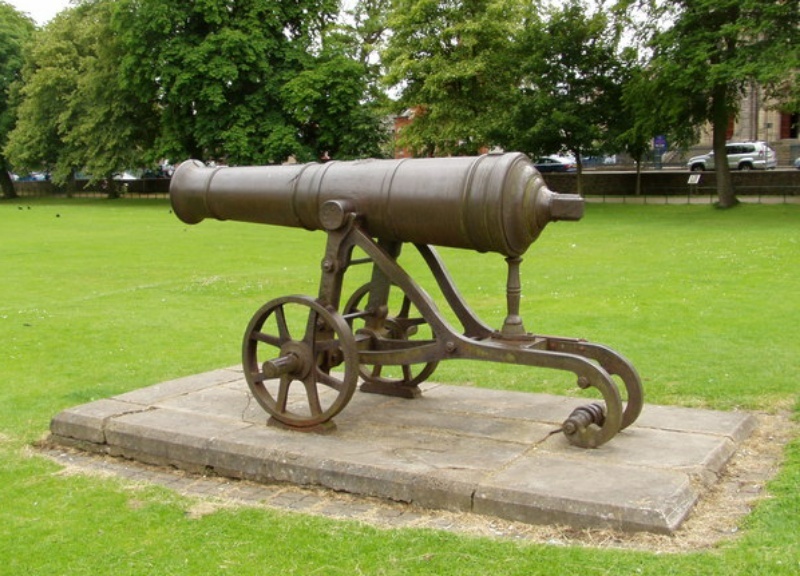 This cannon at Armagh shows what it would have been like to see the one at Greyfriars Green. Thank you to Henry Clark for Creative Commons use.